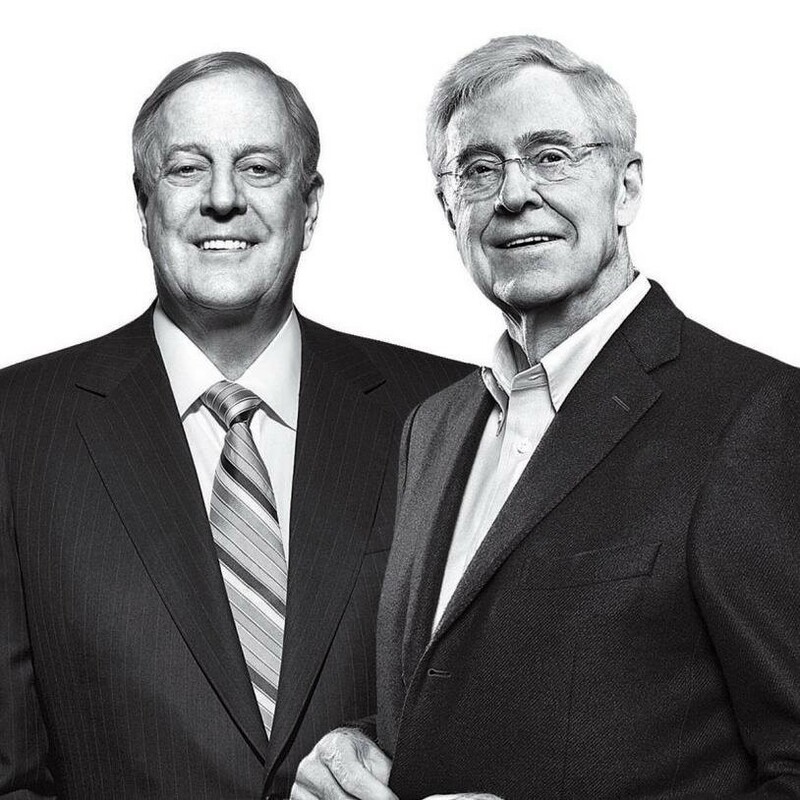 The Koch brothers lost this Presidential election to the Mercer family, but they won plenty of House and Senate seats to make sure their bidding gets done. The master puppeteers who pull all the strings behind the screen hold a truly dark view of America and the people in it. To see just how dark their worldview is, let’s take a look at the Koch’s holdings: Minerals. Oil. Coal. Chemicals. Beef. Wood. Not one of these product categories is sustainable. The billionaires are in a race to the end. Their apocalyptic vision is that the Earth’s natural resources will be extracted and used by them, for gross profits, no matter what the damage is to the environment. This short-sightedness is only possible when the ultra-rich can successfully escape the global climate crisis. The thing with that is climate change can hit with alarming speed. Drought, fires, or an ice age can all sweep in and leave famine in its wake. Nevertheless, the players continue to make horrible bets with our collective future. It is time to stop obsessing over Hillary and Don, Blue and Red states, Democrats and Republicans. The super rich versus everyone else is not binary. It’s a few powerful families against the rest of humanity. As long they keep us divided, they keep us conquered. Chief Storyteller @bonehook, a guide service and bait shop for brands. Fan of Kurt Vonnegut, Nebraska football and wolves in the wild.